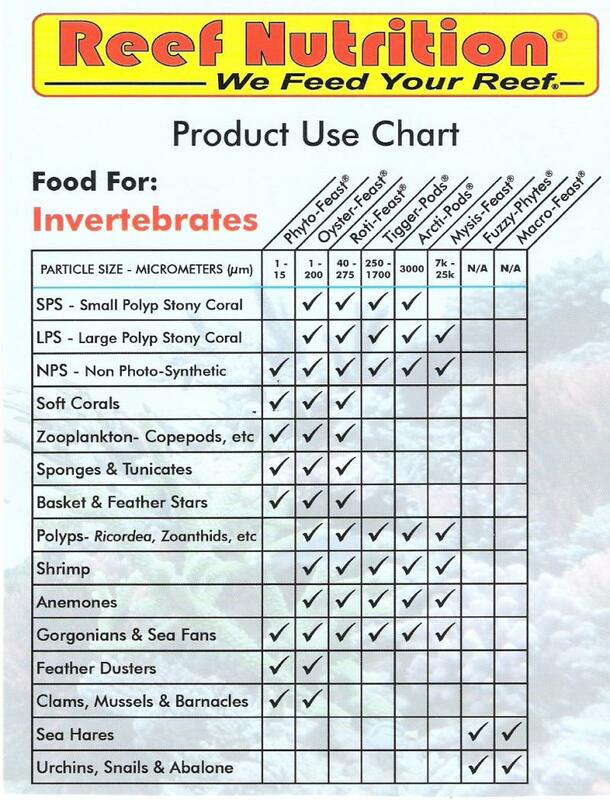 The REEF NUTRITION product line is the "main course" of Wild-Type Feeds and is designed to provide a complete and balanced diet for the vast majority of the animals in your reef. REEF NUTRITION products are highly concentrated and easy to use. With REEF NUTRITION products, it's now easy and economical to provide your reef system with the nutrition it needs! A delicate fine-branched red macro alga. It is devoured by most herbivore fish and many invertebrates as well. Attractive large red copepods. Because they swim upward with a stimulating, jerky swimming motion, they are attractive to both fish and people. Finicky fish love them! A highly nutritious plankton feed perfect for hard corals, larval fish, and other reef carnivores that feed on small zooplancton. Rotifers are a critical feed used in marine fish and invertebrate hatcheries around the world. A mix of both oyster eggs and ovarian tissue. Naturally size-appropriate for the smallest SPS corals (Acropora & Montipora) up to LPS corals (Goniopora & Favites). 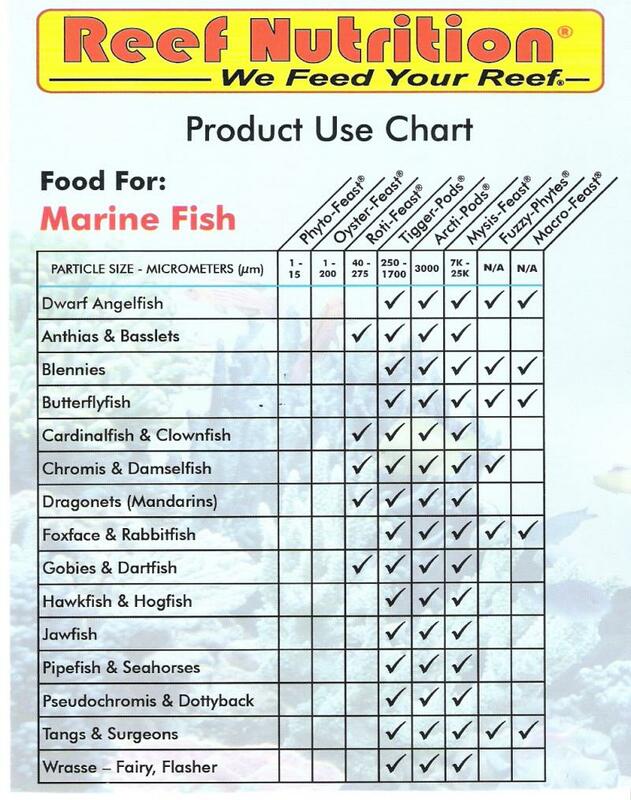 Highly suitable feed for a broad range of corals and other invertebrates. A blend of marine microalgae chosen by researchers and hatchery managers for their special nutritional qualities. Large, nutrition-packed planktonic copepods, harvested fresh from Arctic waters. In the ocean, copepods form the basis for much of the marine food chain. Small live red macro alga with very fine filamentous branches. Their nutritional value is similar to other red algae. Refrigerated, concentrated freshwater shrimp, harvested from pristine cold lakes fed by mountain glaciers. Mysis feed on phytoplankton and have a balanced nutritional profile high in Omega-3 and -6 fatty acids.